Our make up is durable and long lasting with a large range of colours and tones to suit your needs. Our highly trained team of therapists will be able to provide you with the perfect look for that special event. Our therapists will cleanse your skin before applying the makeup. You will be asked a range of questions by the therapist to determine how you would like your make-up to look, then you can just sit back and relax and allow your therapist to do all the hard work! This makeup session will take 1 hour. The first session will be a consultation where your therapist will ask questions to determine the look you are going for, your skin type and what you are wearing (and yes, believe it or not it is extremely important for our therapists to find out what shoes you are wearing!). This will allow them to create the perfect makeup tailored to your exact needs. Your makeup will then be applied, to ensure that you love how it looks, to iron out any other problems and check that our products don't irritate your skin. For this reason we recommend you come for your test at least a month before your big day. 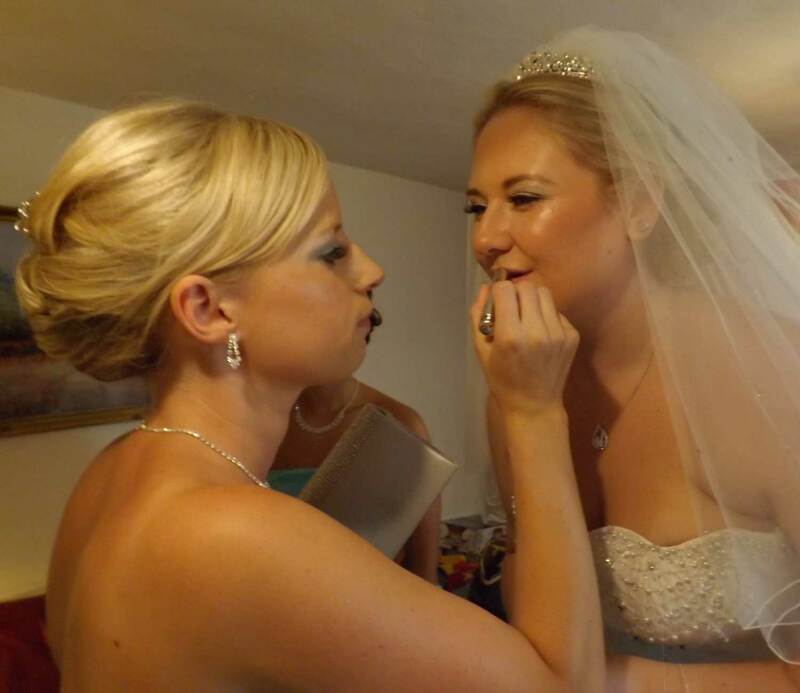 On your big day you can either come into the salon, or we can arrange a home (or hotel) visit, however we will have to charge a little extra to cover travelling time and petrol costs. Our skilled therapist will then apply the make-up that had been agreed at the consultation stage. Feel free to ask about having any of our other treatments on your big day at home, or at your hotel. We would be more than happy to oblige, if we can.